If you have a clog in a sewer main clog, either you call a plumber or sewer specialist to come in and handle the problem, or you can try to do it yourself by renting the same kind of motorized drain snake that the professional use. Most drain snakes can be rented by the hour or by the day or half-day at a tool and equipment rental location and at some home improvement stores. A sewer snake rental machine can be used to clear a sewer mainline as long as you get the right machine and you know how to use it. Look for a sewer drain snake with a minimum cable diameter of ⅝” to ⅞”. A cable smaller than this will not be strong enough to cut through the typical mainline drain stoppage, which can be a pretty substantial clog. Avoid the smaller machines that really are only suitable for clearing branch drains inside the house. Get a machine with at least 75 to 100 feet of cable length. The length is needed because the sewer drain pipe is commonly quite long and a shorter cable may not be able to reach the clog. Measure the distance from the clean-out to the street so you can determine the length of cable necessary to clear the clog. If the distance from the cleanout to the street is longer than the typical 100 feet, you will need to rent a drain snake with a longer cable. Make sure to request a thorough explanation of how the machine works and any safety features it has. There are many different types of drain snakes available so it is important to be well acquainted with your particular model. Ask about what gloves are appropriate to use with the machine you are renting. Leather gloves are typically used, but you will want to know if there is a specific type they recommend. 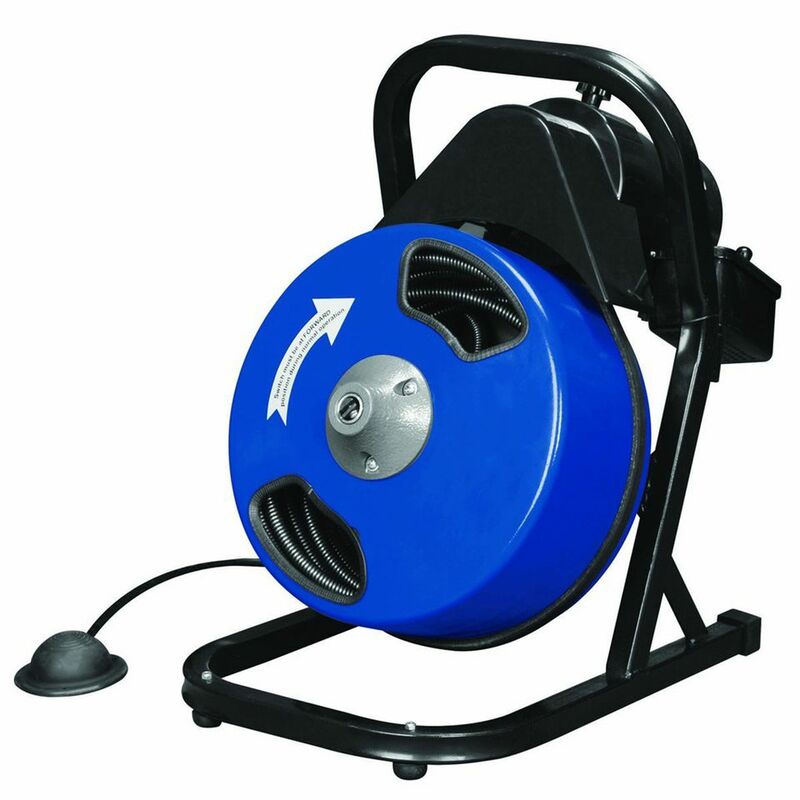 Motorized drain snakes come in several sizes, and those mounted on a dolly with wheels are easier to move around than one that must be simply lifted and carried. These are heavy machines, so this convenience is important. When you get the sewer snake rental machine home, go over the safety and use instructions over again. The more comfortable you are with using it the safer and easier it will be to use. Then review the instructions on how to clear a sewer drain clog carefully, making sure to note all safety precautions. The rental drain snake may come with different heads to fit on the end of the cable. For example, it may have a cutter head with sharp blades designed for cutting through tree roots that might be clogging the sewer line. A snake that comes with these various heads is a good option when renting a machine.